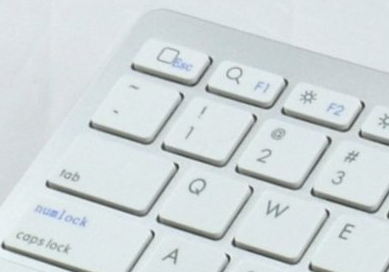 The top-left key on some bluetooth iPad keyboards functions as a home button. What happens when you connect the keyboard to a regular desktop and push the button, ie, what does the computer see? Is this some sort of command that could be replicated, say with a HID like the Teensy? I found a Bluetooth keyboard designed for iPad and other platforms here. The product pictures show two labels on the top row of keys. The top left key is labelled with both the "home" roundrect icon and "Esc". So I think it would be worth trying to send the key code for Escape. How to toggle the virtual keyboard from a usb keyboard on iPad Air? Connect a bluetooth keyboard as a game controller to an iPad?